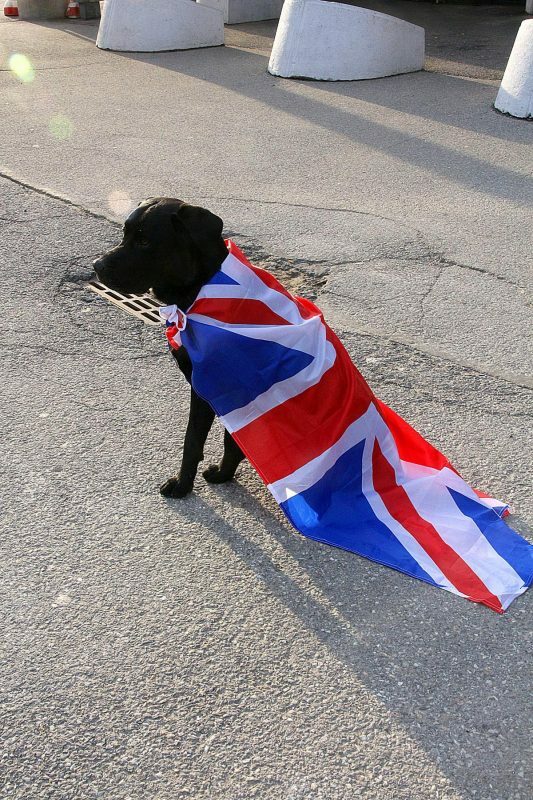 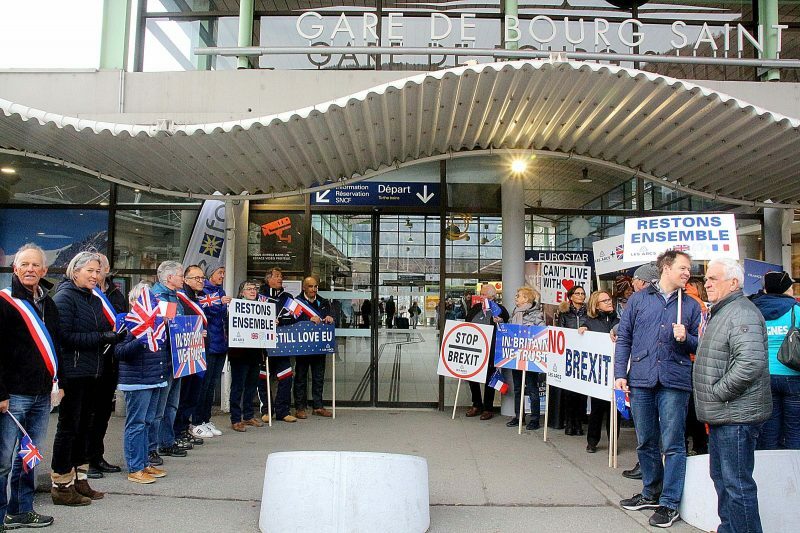 Members of the public joined representatives from French ski resorts in Bourg Saint Maurice yesterday morning, as a friendly anti-Brexit demonstration was staged outside the Eurostar terminal – the entry point to many of the major French ski resorts. 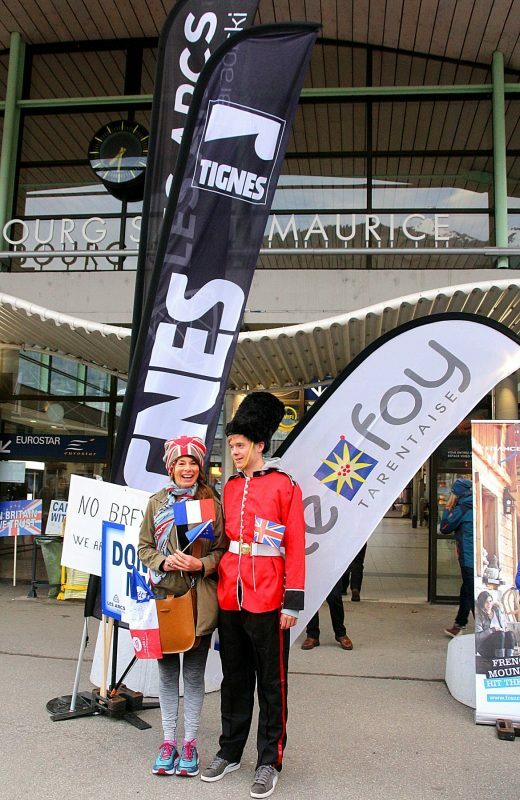 Saturday 6th April was chosen as this was when the last Eurostar of the season departed Bourg Saint Maurice in the direction of London. 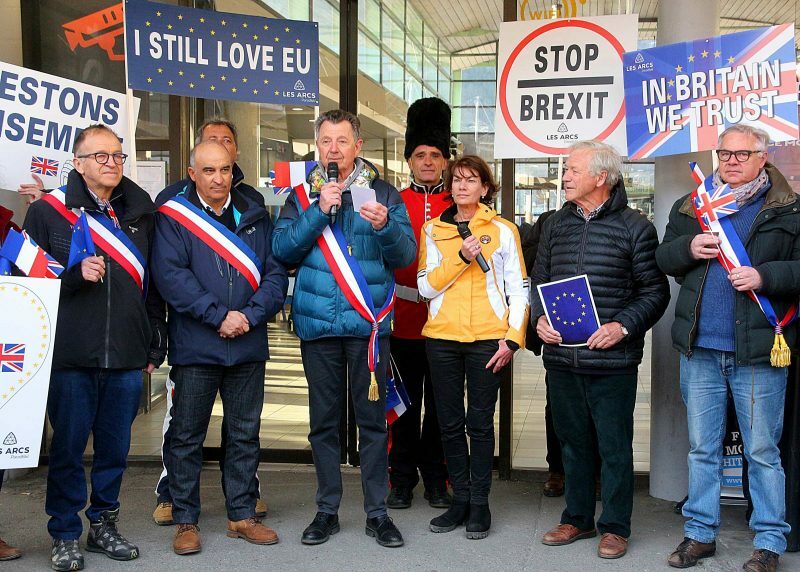 “The initiative was organised to send a message to both the UK and the rest of Europe that perhaps it is not too late to reconsider Brexit and to show how important the British clients are to the French ski resorts,” spokesperson for one of the resorts said.